when you purchase or lease a new 2019 Jetta. Trade in not required. Volkswagen of America, Inc. (“VWoA”) will pay a loyalty bonus toward the purchase or lease of any new, unused MY19 Volkswagen Jetta Model sold and reported by the dealership during the Program Period. 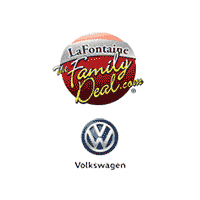 This Program is applicable for current Volkswagen owners with at vehicle MY01 or newer. Trade in is not required. Restrictions may apply. See dealer for complete details. Offer expires October 1st, 2018.